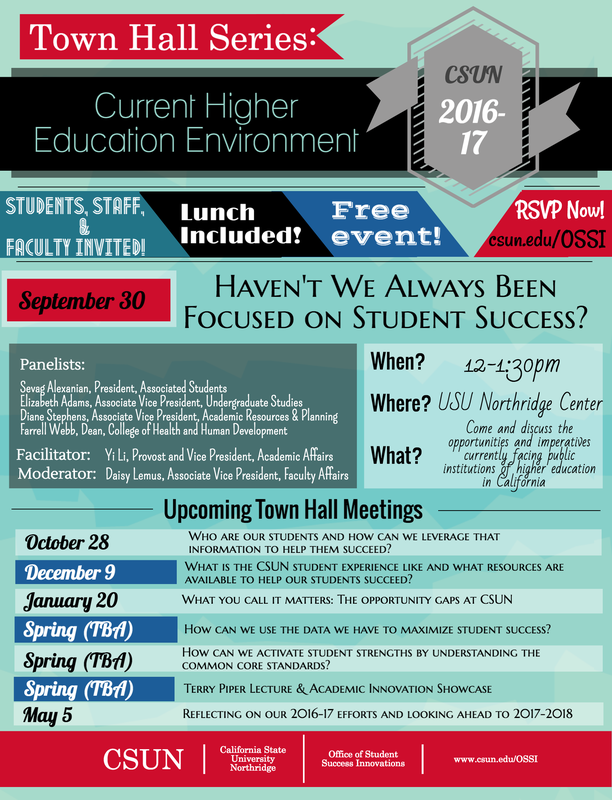 September 30, 2016: Haven't we always been focused on student success? October 28, 2016: Who are our students and how can we leverage that information to help them succeed? 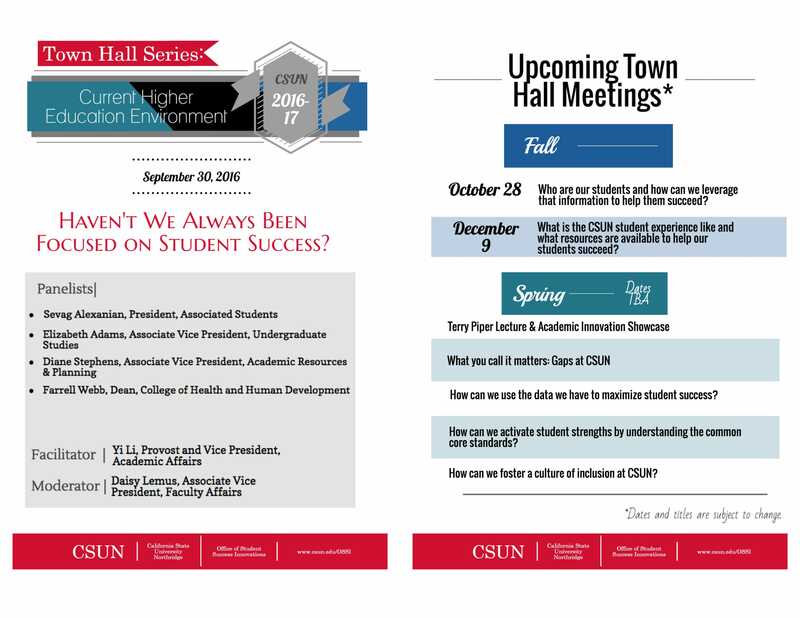 December 9, 2016: What is the CSUN student experience like and what resources are available to help students succeed? What is the CSUN student experience like and what resources are available to help students succeed? March 10, 2017: How can we activate student strengths by understanding the common core standards? October 13, 2017: How can we close opportunity gaps in our classrooms? The CSUN Connects Project provides an opportunity for faculty, staff, and students to connect with one another by helping them identify common experiences that they share. 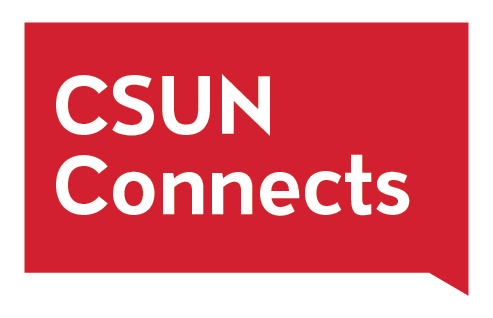 Read the CSUN Weekly article about CSUN Connects: "CSUN Looks to Connect Faculty and Staff with Students Through New Initiative."